Lekel ki kontan mwan isi? The ECCE theme song was composed by Mr George Payet and sang by Lenon Payet and the National Children’s Choir, the CD of this beautiful song is on sale at the Institute of Early Childhood Development on the third floor of Le Chantier Mall. 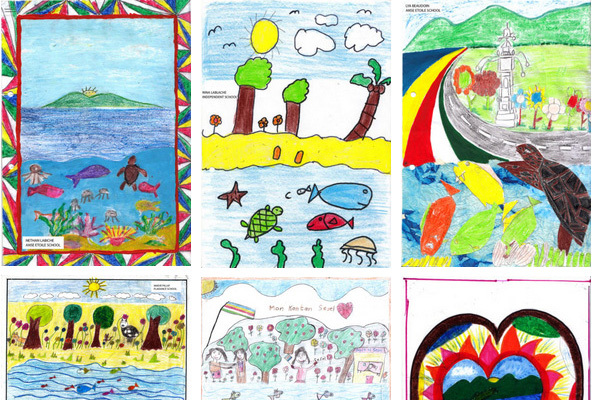 This is a beautiful collection of poems and artworks by P2 children of Seychelles, where they express their love of their country, if you want to support the children by purchasing this collection of booklet; get in contact with us or visit us on the 3rd floor of Le Chantier Mall. This useful book for parents, Childminders, Daycare Operators, Teachers, and anyone with interest in early childhood can be purchased at our office on the third floor of Le-Chantier Mall.